Pierce had his field day just before school let out. If you've been following my blog for a while, you know I'm a long-term field day hater. But it means the world to Pierce to have me show up, so the twins and I made an appearance. It was a chilly morning, and the kids were all freezing once they got wet. But they still had tons of fun. 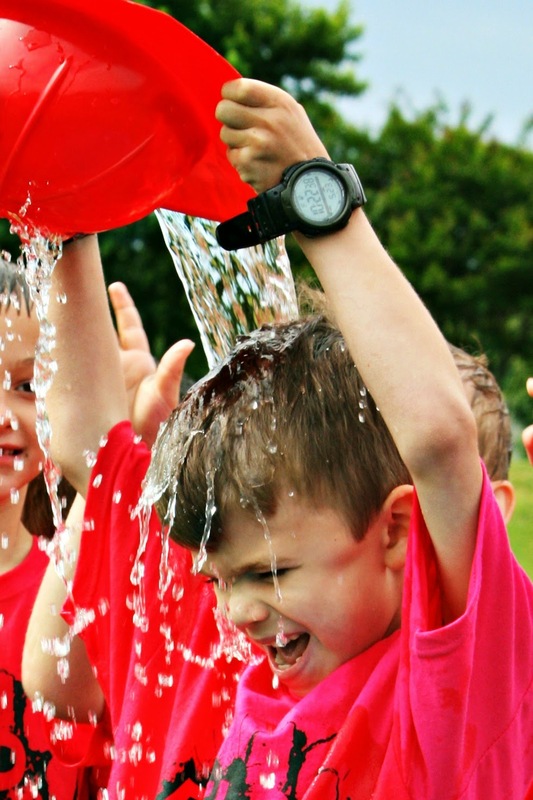 In this game, they passed fireman hats (with holes) of water over their heads to the person behind. There was an obstacle course. We left before the class moved on to the giant waterslide. I had a few obligations that afternoon, plus the twins were really angling to do the giant waterslide, and I hadn't brought any towels or spare clothes for them. We snuck out just in time. I'm glad that the boys all love field day. I always hated math too as a kid. Think there's any chance all three boys will end up loving math as well? Fabulous shots, I used to love Field days too and Math was never my strong point. The amazing chocolate pancakes recipe was DELICIOUS! o dit zijn pracht dagen voor de kinderen. Kids enjoy playing all the time. It makes them to be active and feel fresh. With 4 kids that made for about 24 years of field days for me. Mostly I remember getting a sunburn the majority of the time. I used to go to my daughter's field day and they had fun with the games but I remember how loud and bad the music was. 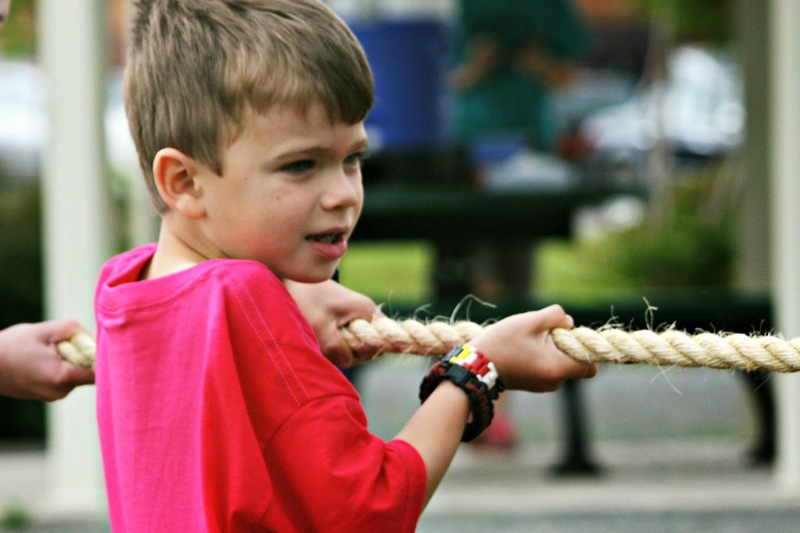 I despised field day and math... the kidling loved both. I'm not a fan of field days either. I went with 2 of my grands while daughter worked. Lots of trouble, but the kids love it! You got a really nice shot of the water spillage. I hated math, too! I always keep a few towels in the van so I can take a plunge. Fun day! Have a great weekend, Lisa. And fun was had by all! That's just too cute. I did like field day even though I wasn't athletic. I think I just liked playing, doing something different. And we got to wear shorts, which we couldn't do when I was in elementary school. 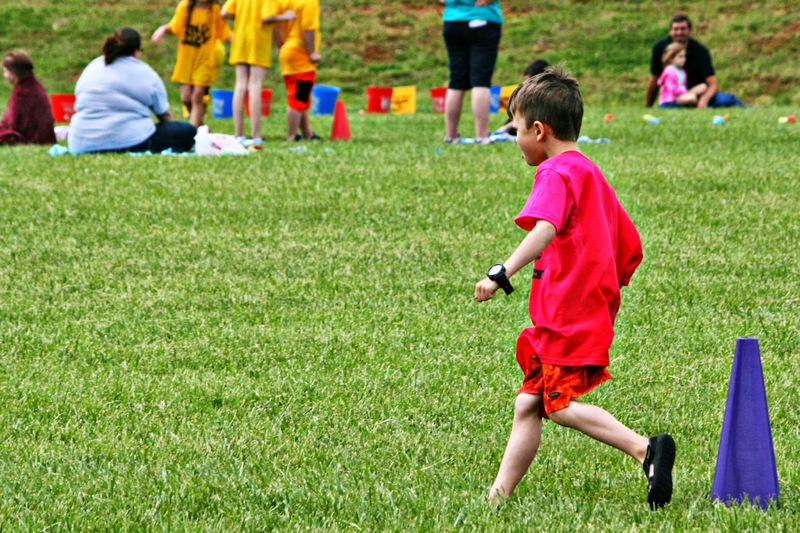 we didn't have field day when i was a kid so it was new to me with my own kids. braden and dalton always crashed ashlyn and christian's field days too! i don't think any kids mind more kids! love the colorful fun photos! Pierce is growing so fast! The planned evens looks like a lot of fun. My lips are sealed about your sneak! 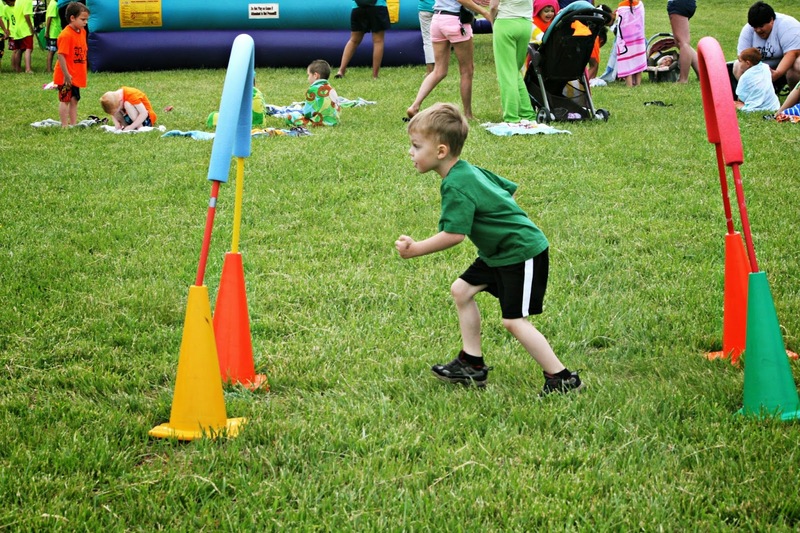 And those happy photos of field day- reminds me of field day- everyday in my house! How fun! The boys certainly looked like they were enjoying themselves. I never get a chance to get out to field day. My husband went this year and helped out. I'm sure your twins would have loved the water slide. I would have gotten out of there if I didn't have extra towels, or clothes to. As a teacher I find Field Day very challenging. But, my class, as a whole group, loved it this year. Math is great... I minored in it --and even taught Algebra at one time... My hubby majored in Math---so we are a 'Math' family!!!!! A good time was had by all. I remember having to run field days when I was teaching. Yuk! Looks like so much fun! Delightful to see! It seems like they had lots of fun there. Your sons look so happy. That's a funny game! I'm sure, children all over the world will prefer to play outside with their friends and explore their nature's surrounding. I was terrible at math and too bashful for field day!!! Have a happy father's day weekend. No...you can't hate field day. It was always the best day ever in Elementary. I haven't been since I was in school though so I might not be so fond of it as an adult! That is so nice they took the kids outside. It is really important to promote outdoor play. Fun day for the boys! When I was a teacher I never liked field day. The kids would always get hot and sweaty, and tempers would flare. My oldest grandson just broke his arm during a field day. I so loved teaching math! What a bunch of fun memories you are documenting! This is fun fun all the way. Look at his enthusiasm and energy. 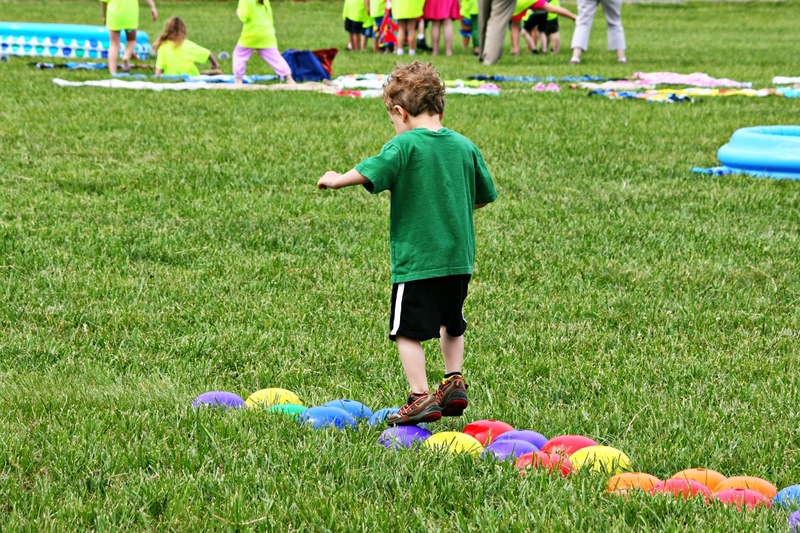 This version of field day looks like so much more fun than the version I had growing up.